Heinrich Ulrich (circa 1592-circa 1631). Artist associated with 4 portraits. Thomas Bates (1567-1606), Gunpowder plot conspirator. Sitter in 7 portraits. Robert Catesby (1573-1605), Leader of the Gunpowder plot. Sitter in 8 portraits. 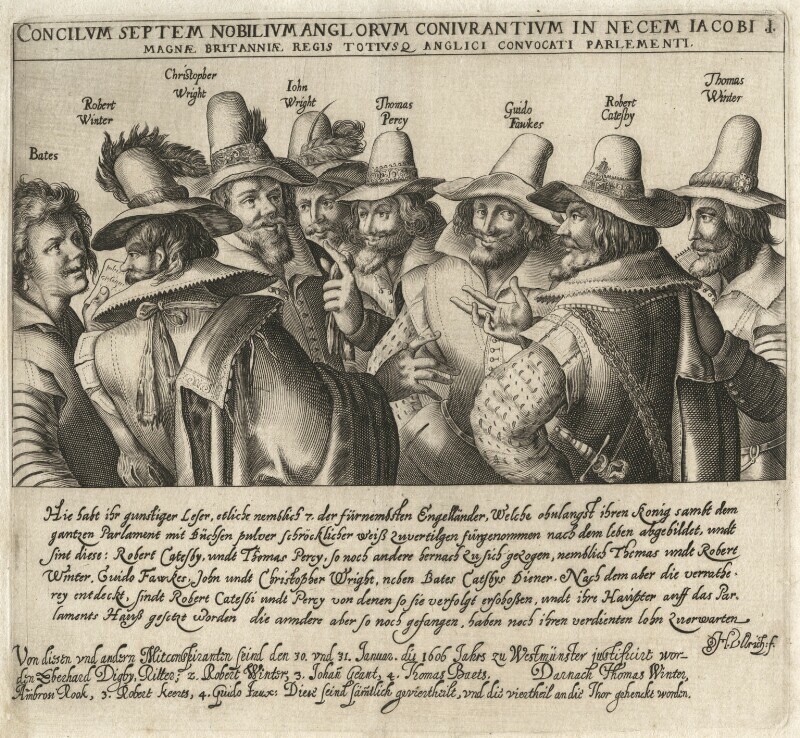 Guy Fawkes (1570-1606), Gunpowder plot conspirator. Sitter in 7 portraits. Thomas Percy (1560-1605), Organiser of the 'Gunpowder Plot'. Sitter in 13 portraits. Robert Winter (1568-1606), Gunpowder plot conspirator. Sitter in 8 portraits. Thomas Winter (1572-1606), Conspirator; brother of Robert Winter. Sitter in 7 portraits. Christopher Wright (1570?-1605), Gunpowder plot conspirator. Sitter in 9 portraits. John Wright (1568?-1605), Gunpowder plot conspirator; brother of Christopher Wright. Sitter in 7 portraits.